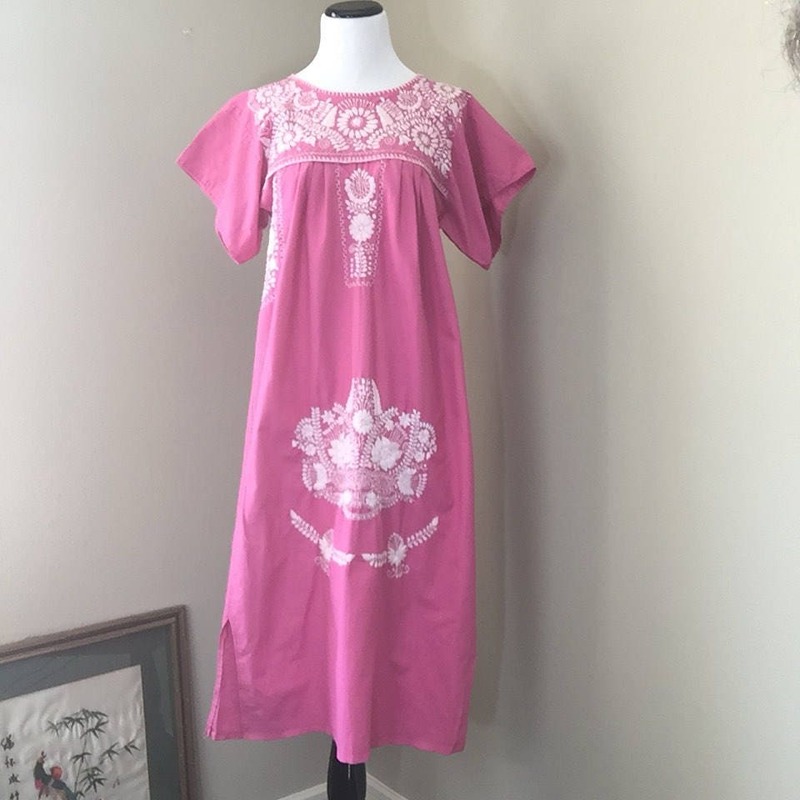 Soft, pretty pink vintage embroidered Mexican dress. 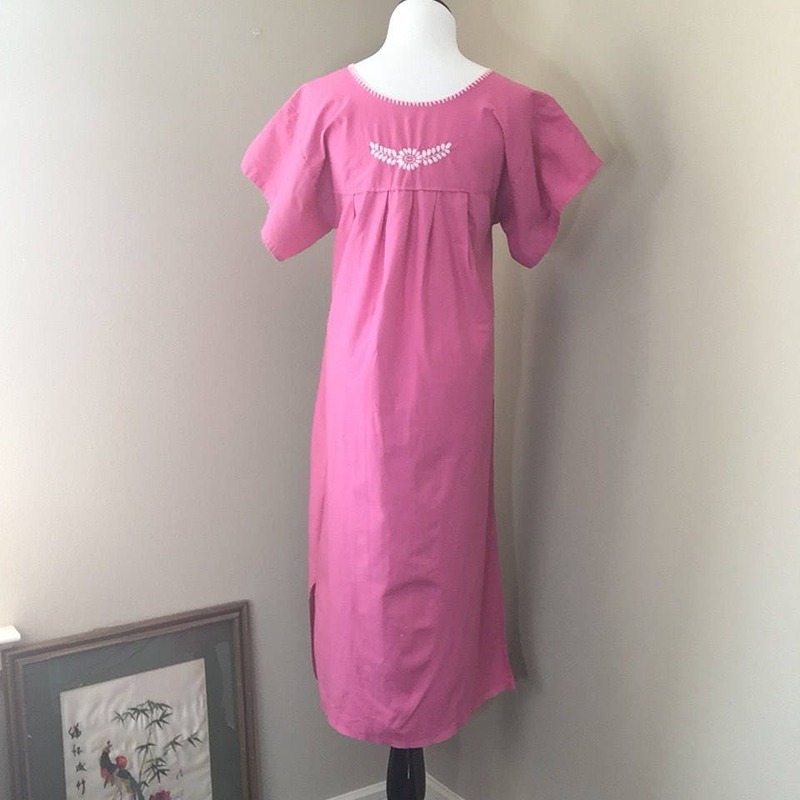 In great vintage condition! Fits a size Small.